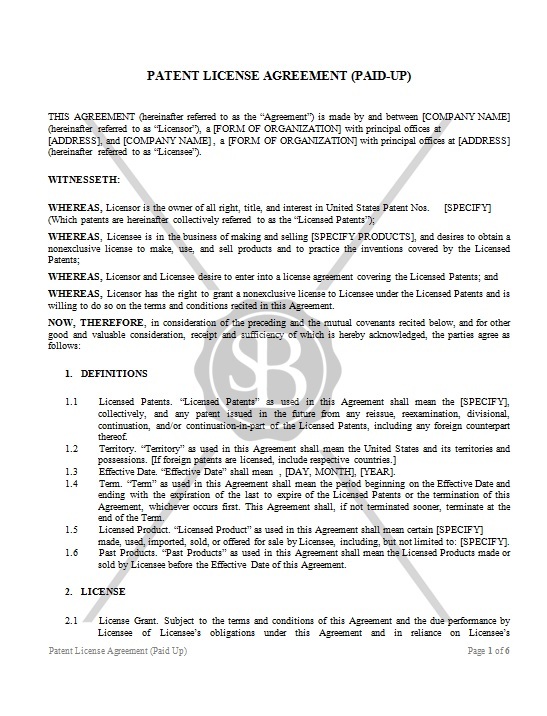 This Agreement is made between the Licensor and the Licensee. This is used when the Licensee desires to obtain a non-exclusive license to make, use and sell products and practice the inventions covered by the licensed patents owned by the Licensor. The Licensee enters into this agreement with the condition of paying the Licensor a one time license fee.